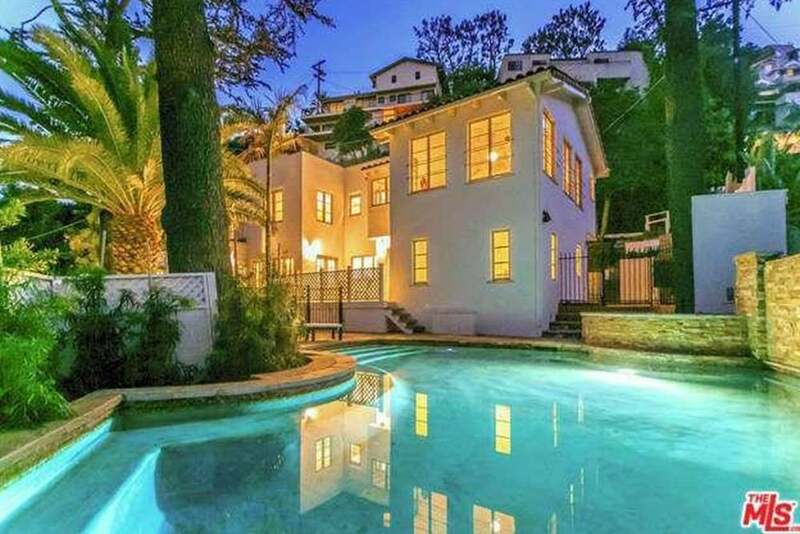 you can buy your own nate berkus-designed home for $3M! the interiors expert is selling a spanish-style estate he remodeled in los angeles. According to Trulia, Berkus and hubby Jeremiah Brent spent the past year revamping the stunning Spanish Revival spread (originally built in the 1920s). The 3,643 square-foot abode offers five bedrooms and bathrooms—all of which are en suite—as well as cool architectural details like arched doorways and wrought-iron railings. The lofty chef’s kitchen comes complete with a spacious center workstation and high-end appliances like double ovens. The open dining area features hardwood floors, high ceilings, and a wood-burning fireplace. The gorgeous master suite includes a private terrace (with breathtaking views of the SoCal skyline) and a massive walk-in closet with built-in shelving for storage. Outside you’ll find several landscaped gardens, patio lounges, and a shimmering swimming pool—perfect for entertaining (and showing off) this Berkus-approved property all year long!